My fitness journey started July 7, 2014, when my doctor told me I was borderline diabetic, that wasn’t going to cut it, as I had already lost both parents to this awful disease, and have now lost a sister and will be losing a brother. So my question was what needs to be done to stop this progress, and the doctor said a life change, with eating and fitness. On that day I made the decision I wanted to watch my grandbabies grow up, so I had to get and stay healthy. For the next 10 months I started eating healthier and working out in my home, then one day I kept getting Facebook commercials about the World’s Best Bootcamp. 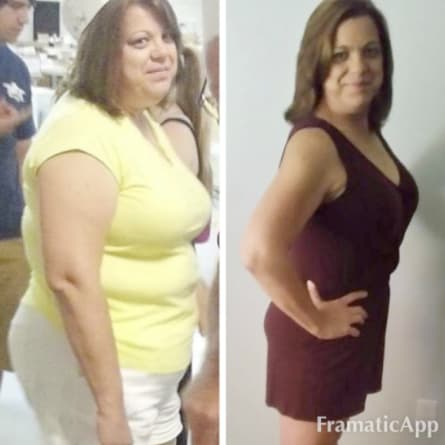 After talking with my husband and with his blessing as I had already dropped a few sizes and was feeling so much healthier, I took a huge step and contacted Crossfit Bartlett, speaking with Krystal, who listened to my story and at the end said “so I’ll see you Saturday”. That Saturday June 27, 2015 I walked into the doors of CFB scared to death as I had no idea what it was going to be like, when I left there I was tired, hot, sweaty but felt amazing as I had done something I never did before and that was worked out in front of people and felt like they really cared about me. After 2 bootcamps, and 10 months crossfit, and 2 nutritional classes, I can say this has been the best decision of my Fitness Journey. 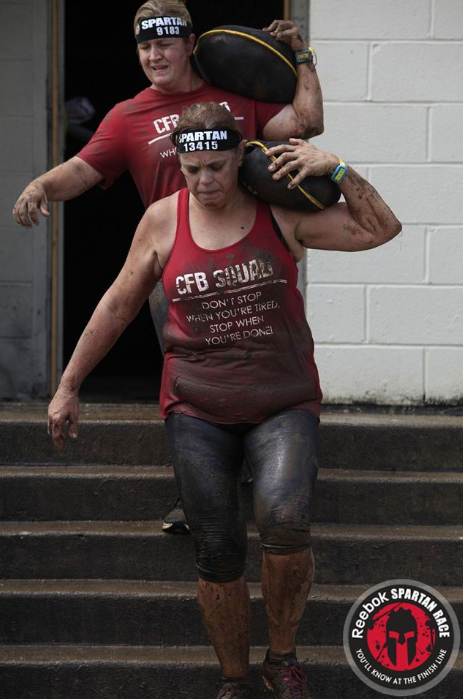 When I first walked into CFB on June 27, 2015 you could not have made me believe that in 14 months, I would be as healthy, fit and strong enough to finish my biggest Fitness challenge and that is a Spartan Race, well I did just that a week ago, and it made my confidence go through the roof. CFB has become my home away from home we are a family that supports each other and always there, so no one is last. Taking that huge step has made me the healthier, fitter, stronger confident woman I am today, and I thank God for placing CFB in my path so I might be able to spend longer years with all 7 of my grandbabies, who are my motivation everyday. By the end of 2015 my size 14 jeans were so tight and uncomfortable that I had a decision to make: buy bigger clothes or change my lifestyle. I was completely unhappy with myself, so I decided that I was going to change my lifestyle and make myself better. 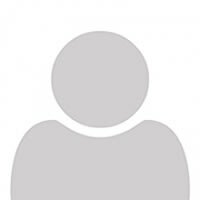 I had previously spent a year at another local bootcamp, and I had great results. I was in great shape and feeling really good about myself! Then tragedy struck, and my grief got the better part of me. I began to eat anything and everything instead of dealing with the grief I felt. That's how I got to where I was, and I knew it. I had to face my feelings head on in order to move forward with my life, and I was ready! I started World's Best Bootcamp in January ready to face all of the challenges and start a new journey. Two weeks into Bootcamp I also started a 3 month nutrition program. At the end of my Bootcamp journey, I was blown away by the amount of success I had in only 6 weeks. Some of the success had to do with my work and effort that I put into the program. The other part of the success had to do with amazing coaches who pushed me and challenged me every time they saw me. They saw something great in me that I had not yet seen in myself. 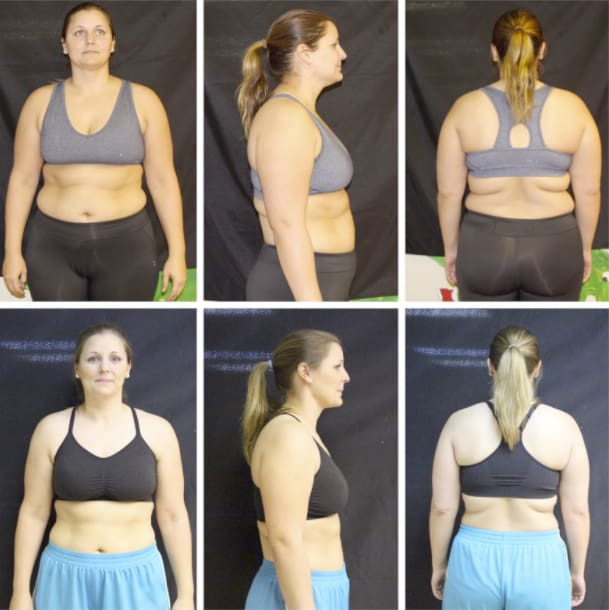 After Bootcamp, I joined CrossFit Bartlett and continued in the nutrition program. 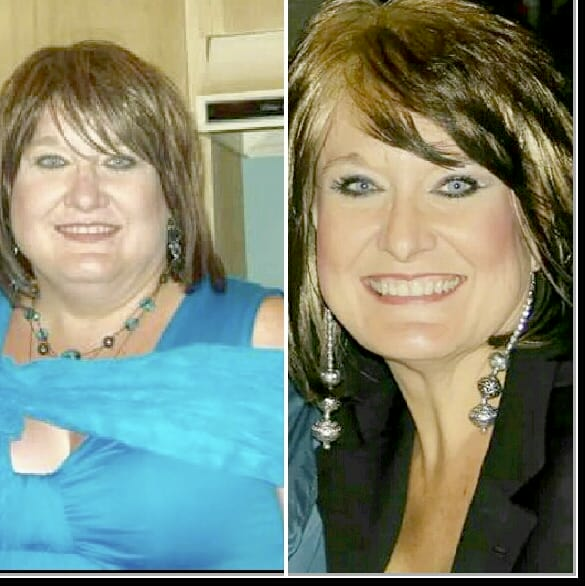 At the end of the nutrition program, I was down 23 pounds and had lost 22 inches! I was in the best shape of my life and so encouraged. I have continued to work hard on myself daily, and the coaches have continued to push me! Since I started Bootcamp in January, I have lost almost 40 pounds and 30 inches! I have no idea where those size 14 jeans went, and I don't care. I will never see them again! A CPA by profession, Charles McLean was Coach Justin’s accountant long before he became one of his athletes. By the time Justin convinced Charles to walk through the doors of CrossFit Bartlett in December 2010, he was overweight, seriously out of shape, and knew he had to do something about it. Years of a sedentary career sitting behind a desk had taken its toll on his weight, his mobility and his state of mind. Charles still remembers his very first CrossFit workout in vivid detail, which he didn’t finish. He also remembers how difficult those first few months were. And yet, Charles kept coming back. While the workouts were the hardest he’d ever done, he quickly came to appreciate the structure of the classes. All he had to do was show up, then let his coach tell him what to do and when it was time to go home. It worked! My journey to CFB actually began over 6 years ago when I weighed over 250 pounds. I had been overweight the majority of my adult life and would have never even thought about doing any type of exercise and there is no way I would have ever attempted Crossfit. However, I made a deal with myself that if I got thin, I would cherish my new life and do whatever I could to treat my body with respect and get in the best shape possible. I actually made a bucket list of things I would do with my thinner self and one of those included finding a fitness home where I could feel comfortable and have fun getting stronger and healthier. Fast forward to January 2016…..I am about 100 pounds lighter, I had checked off a lot of things on my “skinny” bucket list but still not in the physical shape I wanted to be in. One Sunday afternoon, I saw a post on Facebook for boot camp and I grabbed the phone, called Krystal and signed up. Walking into enlistment day was the scariest thing I had done in a very long time but I wasn’t alone. Everyone around me had the same look in their eyes and the entire staff at CFB welcomed me with open arms. To say that I liked boot camp is a lie….I LOVED it! I could not stop talking about it to everyone I came in contact with….my poor family and friends heard about every little thing that I accomplished! I loved it so much that I decided to continue on with Crossfit. The incredible emotional and physical support that I get from the CFB staff and family is overwhelming! It is truly the fitness home that I had been searching for and I have made relationships to last a lifetime. It is hard to picture that 250 pound person now but she is still there….trapped inside of my thinner body, tempting me with bad choices on a daily basis. But I have gained the skills at CFB to overcome the temptations put in front of me and succeed at my fitness goals. I am thankful everyday for the compassion, drive and encouragement I get each time I walk in the door at CFB! I started the nutrition program in Jan 2016 at the prompting of my daughter Sarah that worked at CrossFit Bartlett. She also tried to talk me into working out. I found that I LOVED the nutrition program and learned so much. I also loved the people and the spirit so I decided to look into the workout as well. I thought I was in pretty good shape but found I was just mediocre. The coaches taught me to continue to improve and believe in myself. When I worked out at my old gym, I never increased my weights much or tried new things. I was in a rut and never saw much improvement. The nutrition and CrossFit workout gave me huge improvements in strength, cardiovascular endurance and a much better attitude towards my health. I am a small frame person but had a lot of body fat. I was "skinny fat" I weighed 129.1 lbs with very little muscle definition. I lost 11 pound and quite a few inches. I began to see cuts in my arms legs and ABS! I'm working on my 6 pack!! My husband joined as well and it has improved our relationship because we do it together and feel better too. The coaches focus on helping others and helping improve lives. The team approach is awesome. I love the encouragement I get from the other members and the friendships I've made. That's is the awesome part that makes me want to go. I get to encourage others as well. Seeing people change their lives for the better is an awesome feeling. Well I started in the bootcamp. Michelle (my wife) signed me up as a present and at first I was like why I'm not going go because it's a waste of time going be like every other gym I get all into it then a few weeks later I'll be bored and stop going. Well I finished bootcamp and I was upset because I couldn't make it to graduation because of my job which I wanted to be there to see the different me and applaud the others in my class. But while I was in class I saw the regular CrossFit class and was wanting to try it because it wasn't the normal gym. They were doing different things that honestly looked fun to me and was tired of the going to gym lift weights getting bored cause I was there only knowing me no one to help out or motivate someone are have someone push me. So I signed up for CrossFit and was nervous starting out felt in a way scared cause didn't know anyone and I'm not the talking type more quiet set back and just observe everything. Ive meet some awesome people seen some come and go but at the end of the day. I honestly love it! I get mad at myself when I miss class. My family sees a difference in me when I don't go. Just a huge part of me now and I'll be honest I'm the biggest and hardest critic on myself on how I look but since starting I have gotten stronger more toned and my cardio has gotten better. By no means am I perfect by how I eat and other things.I know I have cut back on a lot of things and like someone said Rome wasn't built in a day and I know this is true on my road. i hope this helps or even if it doesn't that's cool also. If I didn't love going to Bartlett CrossFit for all the Coaches do and all the people in the different classes I wouldn't cause there's a CrossFit place 1 minute from my house but I choose to wake up in the mornings at 345 am and drive to Bartlett from Collierville to go to the 5am class.I would have to say y'all are doing something great here and it can only get better and up. Its a family away from my family. I was drawn to CrossFit Bartlett largely due to the structure of the workouts. I had tried gyms in the past but always stopped after a month after two because I felt I had no support. CrossFit Bartlett has given me a great mix of weightlifting and strength and endurance challenges; the variety keeps me interested, and I feel pushed to excel no matter what the workout. The structure of the workouts keeps me on-track where more traditional gyms left me spinning my wheels. Honestly, I’ve noticed benefits in all areas of my life, and I can thank CrossFit Bartlett for helping me make the change!